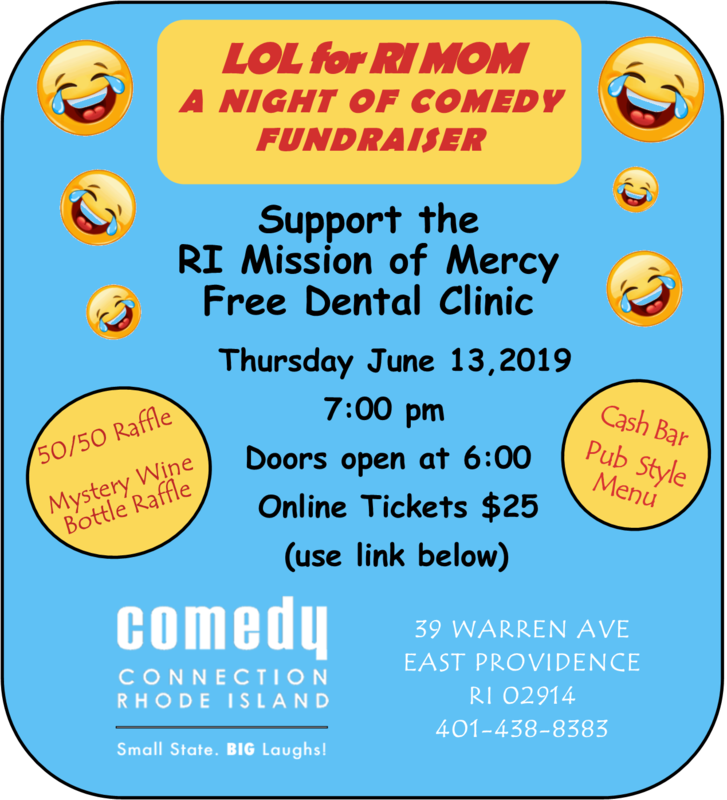 The RI Mission of Mercy (RIMOM) is a two-day FREE dental clinic is held once a year and provides free dental care to the uninsured, underinsured or anyone who cannot access dental care. The clinic is staffed with over 300 dental & medical volunteers and over 200 community volunteers who graciously give their time, talent and clinical expertise to provide FREE dental services to deserving patients. Services include fillings, x-rays, tooth extractions, root canal treatment on front teeth only, oral health instructions, small denture repairs and a limited number of partial dentures to replace missing front teeth. Since its first clinic in 2012, RIMOM has provided free dental services to 4,453+ patients which included more than 17 ,834 procedures with the value of services totaling more than $2,310,490. 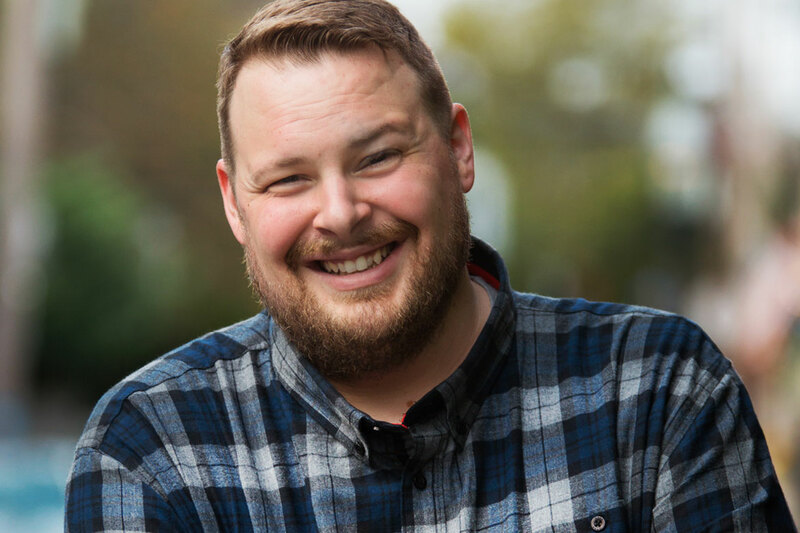 Ray Harrington is an infectiously charming comedian who performs across the globe with hilariously irreverent material and marvelous improvisational riffing that embraces the uncomfortable and the absurd with a smile. His documentary BE A MAN won the LA Comedy Festival and was featured as ‘New and Noteworthy’ Internationally on iTunes before premiering exclusively on Hulu. His first album from Stand Up! Records, The Worst Is Over, debuted at the top of the comedy charts on Amazon and iTunes. His latest album, Overwhelmed, debuted at Number 1 on Amazon and at the top of the Billboard Comedy Charts. Ray was named Best Comedian by the Providence Phoenix, was selected for Comedy Central’s ‘Up Next’ Showcase, was a finalist in the Boston Comedy Festival, and was invited to host the International Filmapalooza Awards in Hollywood. He was awarded Best Documentary at the LA Comedy Festival as well as the SNOB Film Festival, and premiered his film BE A MAN at the New York Comedy Festival. Ray has been heard on nationally syndicated radio along with Sirius/XM and he’s been seen on Hulu, ABC, FOX, and SBS Australia. No drink minimum! All shows are 18+. Proper ID required. Free parking is available in both lots. Street parking is also available. As a courtesy to other guests, we ask that there is no talking or heckling during the show. Copyright 1989-2016 - Comedy Connection - All Rights Reserved.